Buy More Save More Buy 1 Get 50% OFF! Buy 3 Get 1 FREE! Buy 5 Get 2 FREE! DUSTBUSTER / Buy 1 Get 50% OFF! DUSTBUSTER / Buy 3 Get 1 FREE! DUSTBUSTER / Buy 5 Get 2 FREE! Fed up that your vacuum? Can't get in to those hard to reach places or have you spent hours trying to retrieve your small valuable items from your vacuum? 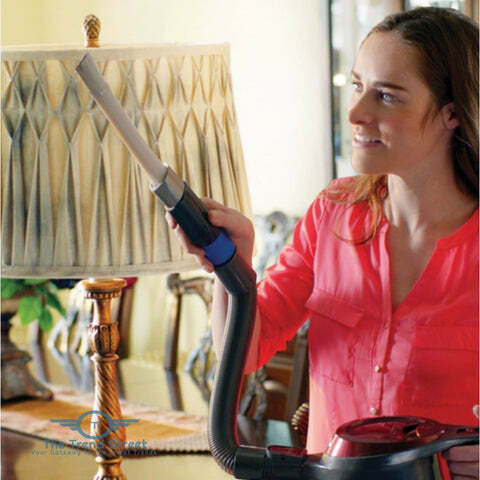 The Dustbuster Vacuum Attachment puts and end to all those troubles! Simply attach it to your vacuum handle or nozzle and this fantastic device will enable you to get to hard to reach places with ease. It is perfect for vacuuming your cutlery drawer, jewelry box and even your car as the flexible nozzles will let you reach those places that your normal vacuum attachments couldn't reach before without vacuuming your small valuables like coins and jewelry. It fits most vacuums and can be easily stored away when not in use.